1. Small and home-based businesses of all types on a tight budget looking to increase sales. 2. Anyone having something to sell on or offline from used cars to real estate, and everything in between. 3. Sellers on eBay, Craigslist, Amazon or other selling sites wanting to add "pop" to their listings. 4. Anyone wanting to drive heavy traffic to their website or brick and mortar business. 5. People looking to increase their advertising knowledge. "CLASSIFIED ADS" are a major source for advertising no matter what you are selling! Classified ads are used to sell everything from used cars to real estate, and everything in between. They are a great way to acquire new leads, get new customers, and sell your products and services without going broke in the process. However, to be successful with classified ads you must learn how to write and use them wisely. If used correctly, these ads really do work! Classified ads come in a variety of sizes, costs, and styles. But classifieds are classifieds! You find them everywhere you look from newsletters, to national magazines, to Internet websites. And there is a certain methodology behind creating content pulling ads that we will teach you in our workbook. 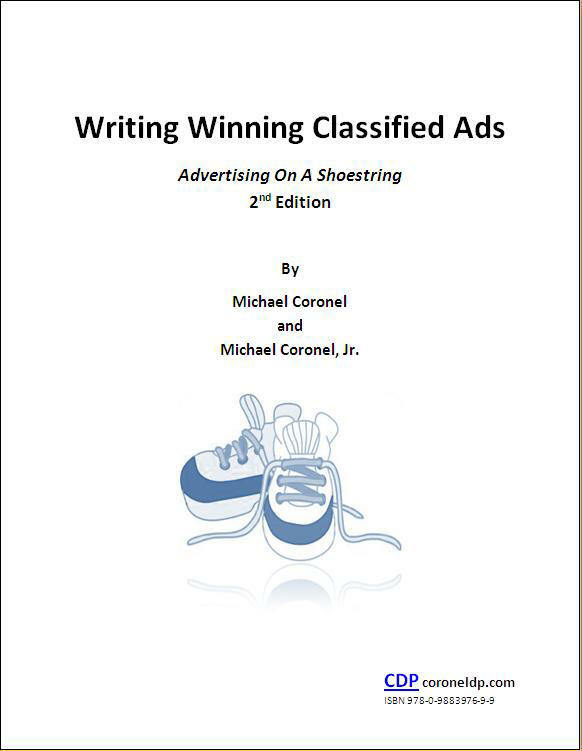 In our workbook, we give you advice and tips on how to develop winning classified ads and to write powerful follow-ups so you can develop a strong advertising campaign. These same classified ad tips can also be applied to auction sites like eBay or marketplaces like Amazon Marketplace to make your postings stand out from the competition. 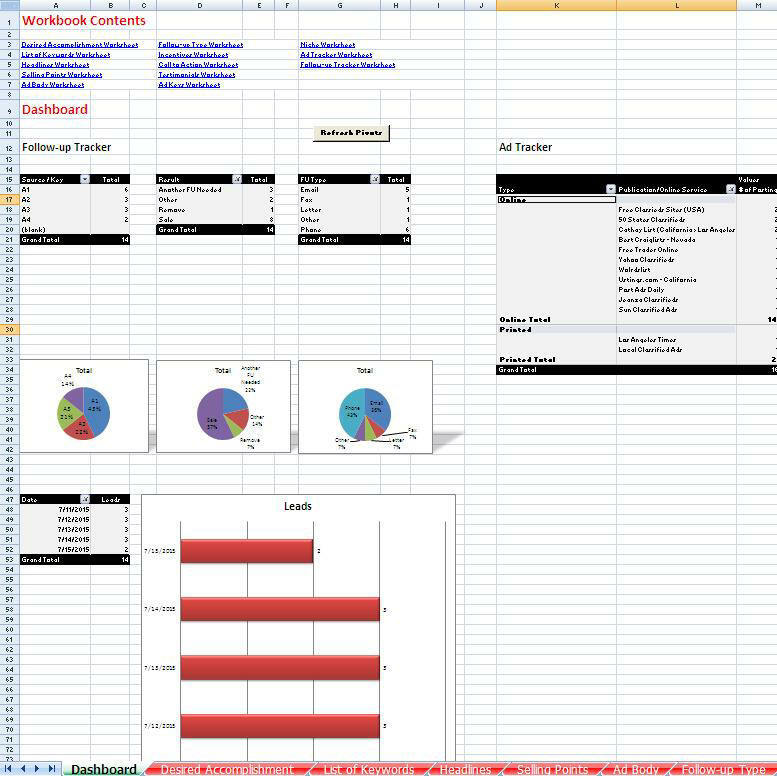 Throughout our workbook we have included worksheets that you can use directly or use as models to tailor a plan best suited for you. Don’t just read this workbook, APPLY IT from the get go! Order your hard copy today through our online store! Order your hard copy today at Amazon.com! Order your Kindle copy today at Amazon.com!